David Sobel has spent the last twenty-five years working in the field of child development, place-based education, and parenting with nature. He currently serves as Senior Faculty in the Education Department at Antioch University New England in Keene, New Hampshire. His expertise and passion led to being identified as one of the “gurus and rock stars of environmental education” by Teacher magazine and one of the 2007 Daring Dozen educational leaders in Edutopia magazine. David is the author of Nature Preschools and Forest Kindergartens and The Sky Above and the Mud Below. 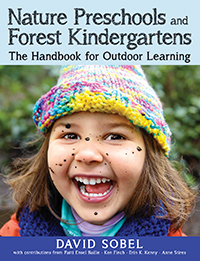 David Sobel’s follow-up to Nature Preschools and Forest Kindergartens walks readers through the nitty-gritty facts of running a nature-based program. Age focus: 3–8. Softbound, 264 pages. 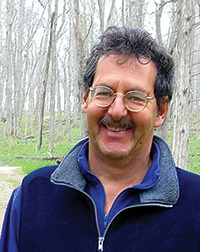 Environmental education expert David Sobel is joined by a variety of colleagues to walk readers through the European roots of nature-based programs to the recent resurgence of these kinds of programs in North America. Whether starting a new nature-based program or "naturalizing" an exsisting classroom Nature Preschools and Forest Kindergartens provides the mentorship and guidance to become a leader in nature-based education.